Who doesn’t want to be feel like a superhero and own their power and confidence? 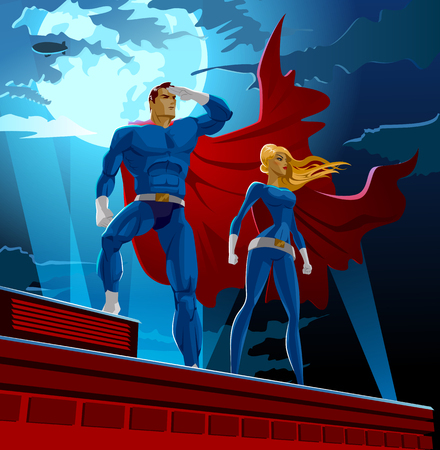 Part of what makes characters like superman and superwoman so attractive to us is that they stand tall with their chest up, head high and are ready to conquer or save their world. What many people don’t realize is that your posture is directly correlated with how you feel. If you are feeling low, heavy or down your posture will reflect this state by your chest going inwards, shoulders rolling down and in, and your head coming forward. Being in this type of posture cuts off the communication to the higher centers in your brain and doesn’t allow you to come up with creative ideas or make better choices. It also produces less than optimal health in your body, which overtime can create pain, disease and grumpiness. However when you are feeling powerful, confident and in control of your life your posture responds to this state. The chest comes outward, shoulder come back and the head is in alignment with your spine. Now the higher centers of your brain light up and you feel more empowered. This state produces chemicals that excite the cells of the body and produce a greater sense of well-being. Number #1. Change your Focus. When you feel bad, stop and notice, what you are focusing on. Perhaps you just got pulled over and you are focusing on how much money you will have to pay for the ticket, and it is making you feel bad. Shift your focus onto something that feels good instead. Shift it to ANYTHING that feels good. This will get you in a better state where you will have more choices to choose from. Number #2. Shift your Posture. Now that you’ve changed your focus onto something that feels better let you posture (and physiology) come along with you for the ride. Make your spine more erect, drop you shoulder and let them roll back, let your head and neck come into alignment with your spine, and feel yourself breathe. Number #3. Take a new Action. You’ve changed your focus, shifted your posture to align with that new feel good focus, now you must do something and quick! You gain confidence by changing your state and taking immediate action. Maybe you see an elderly person in the WholeFoods parking lot as you pull in after getting your speeding ticket. They are struggling to get their groceries into their car, and because you are not sulking in your misery over your ticket and you’ve shift your posture, you can come to their rescue (or assistance). Now you are becoming your Superhero self, which is really who we all are at heart❤️. Great article Amanda. Simple and relevant message.